Erika Zamora said she wants to be a Flight Attendant someday, but she knows it will be difficult for her if she wouldn’t be able to finish her studies. But gladly, someone got her back. She has been a scholar of Bantay Bata 163 since she was in grade two under the sponsorship of Singapore Airlines. Her Bantay Edukasyon story started when her mother sent a letter to BB 163’s former Program Director, Tina Monzon-Palma. Her mother was also a volunteer in one of the child care program’s feeding activity back then. When the need for volunteers arises, Nanay Maylyn Zamora helps in different activities. She says it is her way of giving back to the program and to the sponsors who are helping her daughter. 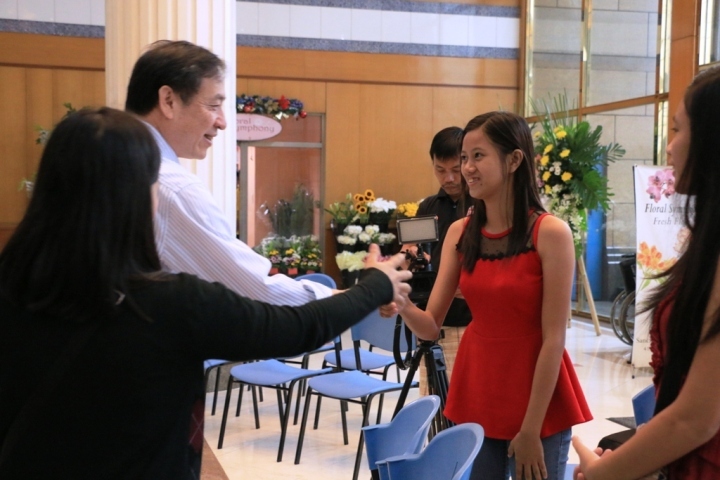 Bantay Edukasyon scholar Erika Zamora shakes hand with Everliving Co. Inc. President Jan Ming Kuei during the company’s turn-over of donation to Bantay Bata 163. 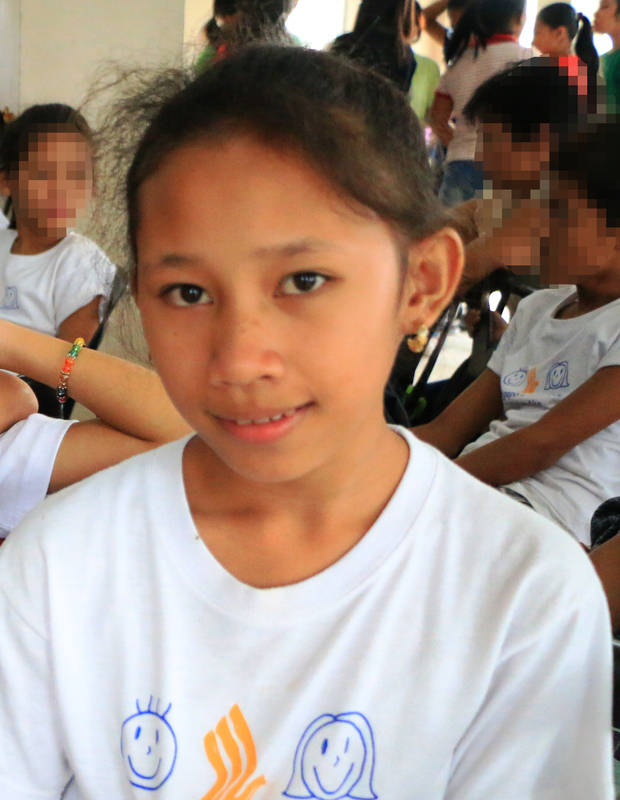 Now, Erika is a grade 10 student under the K-12 curriculum. Four years ago, she was welcomed with a new sponsor for her scholarship, the Everliving Co. Inc. more known as Sanctuarium. Everliving Co. Inc. has been a partner of Bantay Bata 163 in giving the gift of education to children for six years now. 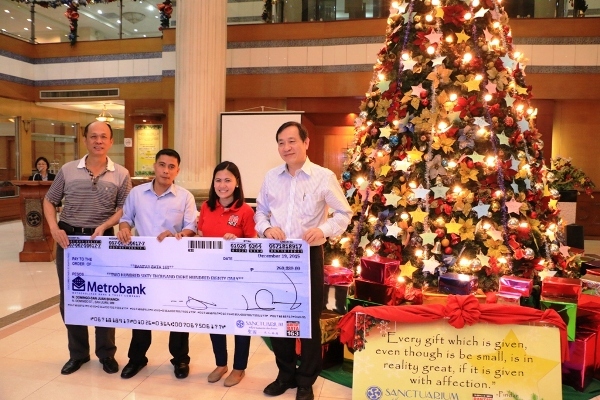 Every year, as they celebrate their company’s anniversary, they kick off their Christmas Sharing Program that aims to raise funds for their scholars.